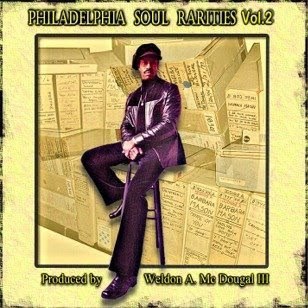 Like Swamp Dogg and many other unheralded Soul and R&B greats, Weldon A. McDougal III should be a household name. The fact that he isn't doesn't mean that he doesn't deserve to be... nor does it mean that he will never be. It just means that most folks haven't been paying attention! So, just who is this Weldon McDougal III, you ask? Apart from being a true 'legend', Weldon has remained a popular figure in Soul music since the early 1960s. He's best known for being a beloved promo/PR man for Motown and Philadelphia International Records in the ''60s and '70s as well as a photographer, songwriter, record producer and whatever other hat he has chosen to wear over his long and respected career. But it's his work as a producer that is oft overlooked. All throughout his career, he has managed to discover and nurture some amazing talent during his years in the studio. While he was busy trying to sell records for other artists and labels, his own talents were often overlooked... even by Weldon himself! So, while Weldon may not be as famous as Gamble & Huff, Holland/Dozier/Holland or Norman Whitfield, he is certainly a member of that classy stable of talent. Most of the tracks that can be found on these two CDs were produced at the famous Sigma Sound studios and are definitely top notch Soul classics in the making. I know Weldon Mcdougal and he is one of the nicest people you would ever want to meet. He is a great producer and if he had been in the right place he would have been as big as Berry Gordy. His productions are not overblown and they stay true to the Philly sound.